has Linda been? Well, a lot has been going on the past few weeks! I've been working a lot, have had one cold and one upset tummy, and also done some fun stuff. Mark and I went to the National Solar Tour in Stelle, IL on October 7. It was a great day for a drive into the country, but really hot. We saw lots of interesting homes using solar and wind power. We celebrated our 10th wedding anniversary on October 12. We took the day off work and went cycling along the Fox River Valley trail. 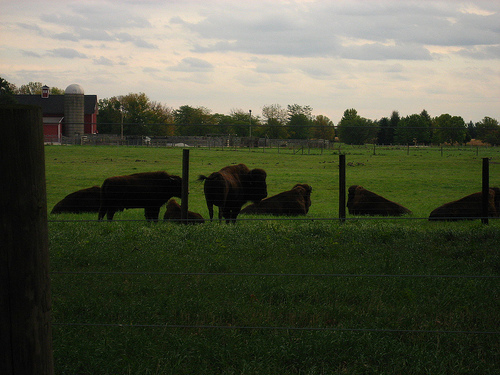 We stopped out at Fermi Lab in Batavia so we could view the bison. Then we went cycling along for the Fox River trail for a few miles. Nice. That was Day One of the my head cold, though, so I wasn't really bursting with energy. By the time we got home, I had to lay down for a nap, and still ended up going to bed at about 9:30. Happy anniversary, honey, have a good night. The next day was Yarn Con. If it wasn't for DayQuil I wouldn't have made it there. As it was, I didn't stay long. Just enough time to do a bit a shopping, meet up with Adrienne, and chat with Katy. 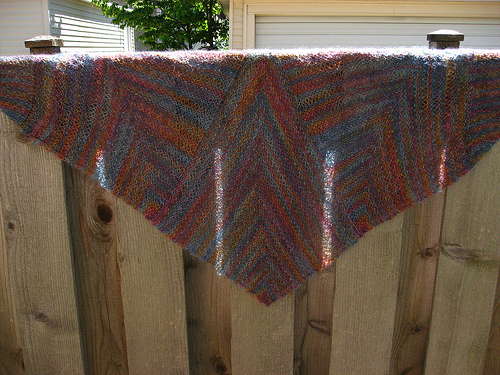 My knitting is coming along slowly. 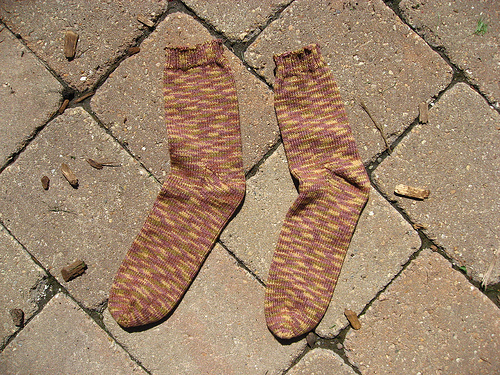 I'm still working on the wrap sweater and the same pair of socks. Even being sick hasn't helped me gain knitting time since I bravely soldiered on and worked a full day every day. I just made sure to do it from the safe distance of home. Thank goodness for telecommuting.